Chairman Masingill signs Notice to Proceed with (L to R) DRA Lousiana Alternate, Doyle Robinson; Executive Director of Kisatchie-Delta, Heather Smoak Urena; members of the Montgomery Town Council; and Mayor Suzy Waters. MONTGOMERY, LA – Businesses and residents in Montgomery and the surrounding area receivde a major emergency investment in resources– targeting the rehabilitation of the sewer treatment system – Delta Regional Authority Chairman Chris Masingill announced . The Town of Montgomery had been placed under a Louisiana Department of Environmental Quality compliance order. The Delta Regional Authority was notified by Governor Jindal’s office that emergency funding was needed, and the project was approved by DRA in March 2012. The Authority will contributed $100,000 in total investment for the rehabilitation of the Town of Montgomery’s Wastewater Treatment Facility. 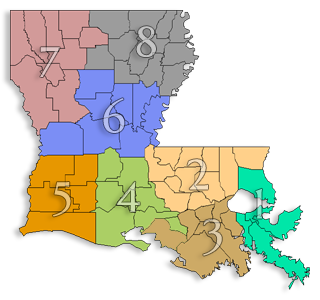 • Address compliance orders from the Louisiana Department of Environmental Quality.